On November 2018 the new draft GB 7718 was released for public comments. 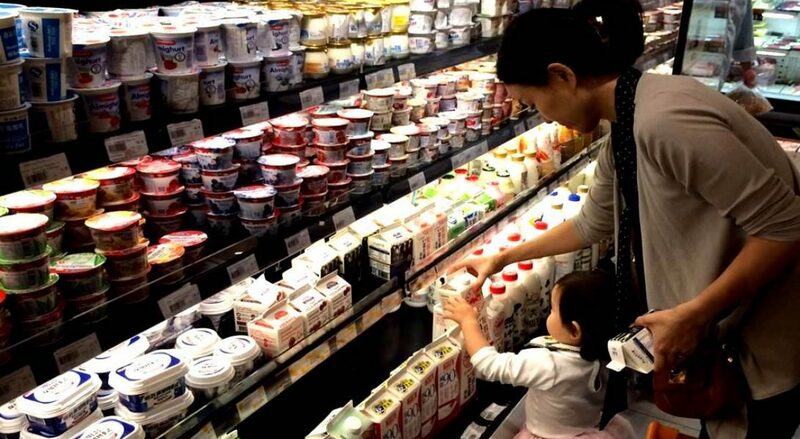 This is a key regulation for food industry, as it is the cornerstone of the food labeling regulation in China. Although the draft may be different from the final version – which may undergo last modifications subject to the public comments that will be submitted, likely in very high number – this draft needs to be already well studied by food companies and food operators. Adjusts some of the previous provisions. Some of the changes were largely announced, others come more unexpected. Impact on food companies’ labeling behaviors may be rather strong. This post wants to offer a “tasting” of the most important features of this new draft. For all those “hungry” to know what the changes will be, let’s see what the new draft brings on the table and enjoy our meal! We start with some technicalities. Minimum fonts size for mandatory labeling has increased from 1.8mm to 2mm for foods with larges surface not smaller than 40cm2 (previously 35 cm2). This may have some important impact at production level and also in the design of labels (especially for those already very dense). In case of co-packing production, labeling of both principal and co-packer is now mandatory (the option of labeling exclusively the principal still remains, however only in case co-packer belongs to the same group). We had however seen this already in the Shanghai Food Safety Regulations in 2017, so we knew it was coming. Mandatory information is expanded to include also statement of ingredient containing allergenic substances (wait for main course n. 3 to arrive, if you want to taste more) as well as (for imported products) corresponding Chinese translation of information in the original label related to edible amount for the group of people for whom the food is suitable (however let’s pay attention here as this information is sometimes covered by mandatory Chinese regulation, such as for example in some novel foods), edible method and other items (which otherwise would be only recommended). Declaration of additives has also some technical changes – not always totally clear though. Now the big dishes arrive! It seems that the new draft aims at promoting use of positive claims, while basically forbidding any kind of negative claim. The new draft finally provides better explanation for when QUID, i.e. quantitative labeling of ingredients, is necessary. is presented only to describe the sensory properties, such as shape, flavor, taste and mouthfeel of the product (e.g. strawberry yoghurt). the ingredient is presented only to describe sensory features properties, such as flavor and taste. This is likely to be the most “hard to digest” part of the meal, directly served by article 4.4.2.1: negative claims are expressly forbidden for (i) food additives, (ii) contaminants and (iii) substances not allowed to be added or existing in food. This should mean the end of any kind of “colorant-free”, “preservative-free”, “additive-free” and maybe even “Pesticide free” claims. If this was not enough, we have another provision forbidding tout-court any negative claim whatsoever – however, isn’t this just conflicting with the provision of article 4.4.2, which acknowledges that a food label may stress the low presence or absence of a certain ingredient? We hope that some clarification may be given in this regard. Is a “palm-oil free” (or a “sugar-free”) claim to be considered illegal under the new draft? Foods which can meet the special nutritional needs of special group of people, as supported by scientific data. Pictures of raw materials are not allowed when the food contains only their fragrance. Let’s see how many jams, yoghurt etc. will need change of artwork. The new GB simplifies the labeling of some ingredients such as microbes used during production for fermentation purpose (“fermenting microbe” or “microbial starter”) and juices not exceeding 2% by weight and not singly present in the food (“fruit juice”, “vegetable juice”, “fruit juice concentrate”, etc..). Imported prepackaged foods may optionally declare – beside country of origin of the product – also the country or region of origin of their raw materials/ingredients – which is rather easy for single-ingredients product such as olive oil, but more tricky for others such as bakery products or even sauces, as the draft standard does not mention any reference to the characterizing ingredients or so. This will be easier to swallow – if you are not allergic of course! Everybody was expecting it and almost everybody had already complied with this since long time. Now however it is becoming official: mandatory labeling information is expanded to include also labeling of ingredients containing allergenic substances (the big-8 which were formerly recommended). Labeling remains voluntary for other allergenic substances than the big-8, or for possible cross-contamination occurring in shared production plants, or in case non-protein components of the big-8 are used as ingredients. The meal seems big, tasty, but some dishes are indeed hard to digest. Let’s see however how this goes, i.e. how the final text will look like. We expect a lot of comments will be submitted to reduce the scope of those provisions forbidding negative claims, and possibly those forbidding use of pictures for ingredients of which only flavorings/essences are used. It is not unusual to have major changes after the public comments phases – for example, let’s remember that in 2015 a draft of Implementing Regulation of Food Safety Law had been released for public comments, and it included a provision which sent the whole import-food industry into panic (basically forbidding sticker labels, thus implying that any imported food product will need to be directly printed in Chinese in the country of origin), only for such provision being deleted in the next draft circulated after. So, our guess is that food companies shall start to re-think their labeling as if the current draft was to enter into force; however, of course, as for any implementation they should wait for the final release of the standard.